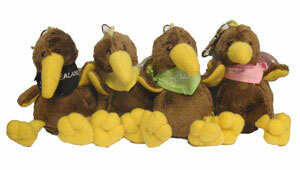 Plush Kiwis with clip to attach to a bag or zip. Bandana available in Black, Yellow, Pink and Green. Please use customer notes if you would like a particular colour, and we will do our best to supply it for you.